“Pretty is as pretty does.” Uh-oh, Burberry isn’t looking so good then. The upscale British fashion company is burning, slashing, or otherwise ruining unsold merchandise. That means destroying millions of dollars in brand-new clothes, shoes, perfume, and accessories. 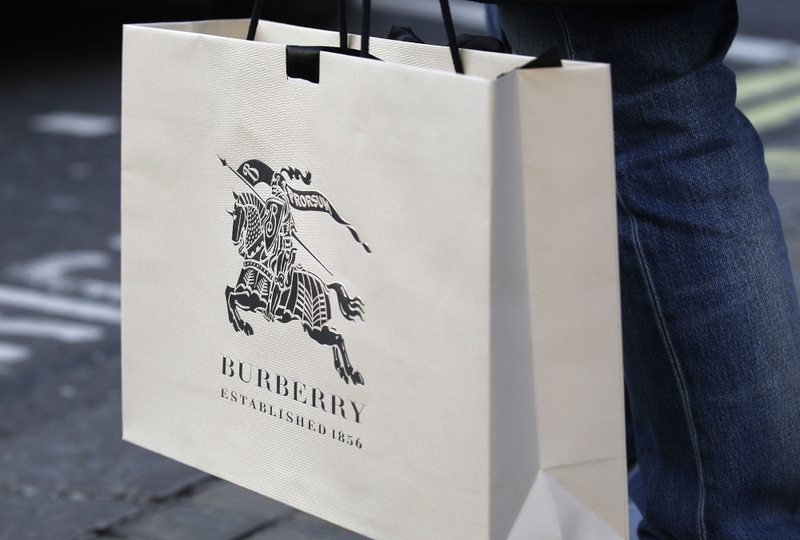 Burberry officials claim spoiling goods helps their brand. But how does such wastefulness make sense? Many people think serving Jesus is a waste. They think the Christian life means throwing away money, fame, and time. They’re right! Luke 14 reveals the cost of discipleship: Jesus’ followers give up everything to gain something far better. Last year, Burberry destroyed $37 million worth of product—over $13 million in perfume alone. In the last five years, the company has ruined over $100 million in first-rate merchandise. Lu Yen Roloff of environmental group Greenpeace sees another problem. She says, “Burberry shows no respect for their own products and the hard work and natural resources that are used to made them.” Ouch. Burberry officials say that if they don’t destroy unused products, items get stolen or sold cheaply. Having their product show up in TJ Maxx or a local flea market hurts their image as a luxury company. Their image is already suffering. In recent years, counterfeiters have hit the company hard. Purses, shoes, umbrellas, coats—all fake and all bearing the distinct Burberry plaid—have flooded discount stores and street stands. Suddenly, the Burberry brand doesn’t seem so special. Burberry isn’t alone in destroying products. Fashion observers claim French leatherer Louis Vuitton burns its high-end goods, and Swiss watchmaker Richemont buys back its own expensive timepieces—only to tear them apart. Some companies say they use the energy generated from burning products or recycle parts of trashed merchandise. Still, that kind of waste angers environmentalists and others. Should companies show modesty and simply produce only what they can sell? Tim Jackson heads a fashion school in London. 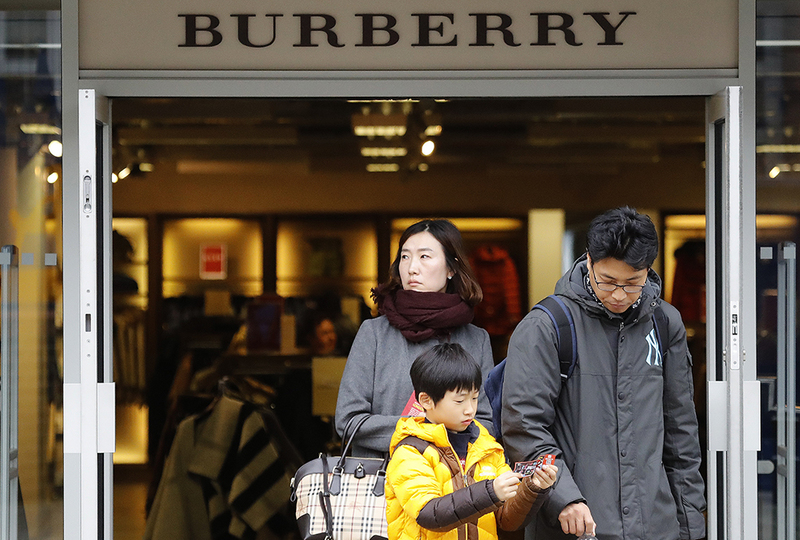 He says companies like Burberry keep growing to please investors—even if that means weakening their brand and producing too much stock. “There’s no way they are ever going to solve this problem,” Jackson says. The situation gets more complicated. U.S Customs law refunds the taxes foreign companies pay on exported goods—if they can prove the product is destroyed. That gives companies like Burberry and Louis Vuitton an economic reason to see their products literally go up in smoke. What is wrong with those people?! Ruining their own products! Ikr? Why are they just ruining what they are trying to sell? Officials say it helps their brand? What!?
. I get that they need to keep their brand name high and lofty and unreachable without massive debt, but 37 million dollars seems just a little bit overkill to me. Why produce it if you know you can't sell it? Or at least recycle the peices not just destroy them! how in the world would that help their brand?! tearing up and destroying things helps their brand?! How?! Yeah, maybe they should cut down on production. I think that they should just make less at a time. following jesus should mean everything to people, if u lose some non important things that people think are important now you could get a better reward later by following jesus. so go ahead and burn in hell if u want but other people will be following jesus. Honestly, these people are stupid. Don't waste things, don't produce more than you can sell, and spend less than you make. These are the secrets to a successful business! Ai yi yi. Why would they want to destroy their own products? At least recycle or donate them. . . . . .
Am I the only one who sees why they are doing this? What do you think is valued more, Gucci slides, or walmart sandals. Obviously Gucci not only because of quality, but because of prudoction number. Usually, the more high valued brands are more expensive because of their qualtity, and because there is a certain amount or the product. The less there is of something, the more valued it is. But ya, they should just make less instead of destroying. That is crazy! Oh, and I.G. you are so right. Why are they ruining their own products? That's crazy! All that hard work for nothing! They are just burning money, if you think about it! I agree with the fourth paragraph. yikes!! who would like to destroy there things that they are selling?! Why are they doing this? It's nuts! Well, even though I think that they could find a better solution than destroying this, (such as donating it to the poor), I do see the point. 1. Making lots of products is better for their company name, and it pleases investors. 2. If they don't destroy them, others will cheat the company. 3. They get tax refunds. How would it hurt their company if their products show up in local stores! I JUST DON’T THINK IT’S SMART !!!!!!!!!!!!!!!!!!!!!!!!!!!!!!!!!!!!!!!!!!!!! That is very waste full. They should give their stuff away or not make as much. Or just simply keep their stuff and sell it!!! That's $40000000000 down the drain. I do not get the strategy. Actually, in a messed up kind of way it does make sense. It is the simple law of supply and demand. The less their is of something, the more it is going to sell for, especially if people think its worth a lot, like Burberry merchandise.